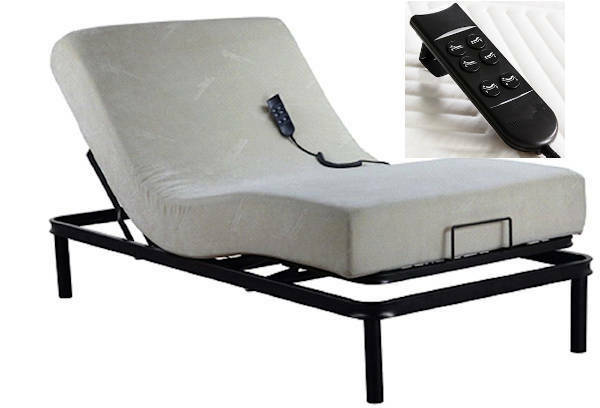 The most affordable price on a fully functional adjustable power bed that we have ever offered. Whisper-quiet motors operate both the head and foot independently of one another with a larger range of motion than you'll probably ever need. We paired this power base with a very cost-effective memory foam mattress that features a multi-layered laminate core and embossed zip-off cover. Note: King Size three-piece set is one mattress over two power bases, King Size four-piece set is two mattresses and two power bases. This bed does not have headboard brackets, but will comfortably fit inside most all headboard-footboard combinations.